Today is the birthday of Otto Schell (July 15, 1862-January 14, 1911). He was born in New Ulm, Minnesota, the son of August Schell, who founded August Schell Brewing Co. Schell’s Brewery is still in business today, and is still owned by the family who started it. “It is the second oldest family-owned brewery in America (after D. G. Yuengling & Son) and became the oldest and largest brewery in Minnesota when the company bought the Grain Belt rights in 2002.” When August died in 1891, he left the brewery to his wife Theresa, with his son Otto as manager of the brewery. “While the brewery mourned the loss of its founder, Otto became its driving force. In 1902 the brewery was incorporated and Otto was elected president, his mother Theresa was elected vice-president, and his brother-in-law George became secretary-treasurer. Otto was president from 1902 until his untimely death in 1911. It would be difficult to call in mind the death of any citizen in this community that came with more shocking effect and produced a more sincere mourning throughout the entire city than does that of Otto Schell. Is it possible that the man of sturdy physique and with healthy and pleasant countenance, seen on our streets but the day before, greeting his friends and acquaintances in his usual pleasant way should now lie cold in death? Yes it is true. Otto Schell died about 10 o’clock, apparently of no other cause than a choking spell which according to the first reports, was due to a severe cold he contracted some time ago. An autopsy held over his body however revealed the fact that his sudden death was cause by uraemic poison due to kidney trouble of severeal years standing. Even on the morning of the day of his death he resumed his regular duties at the office of the brewery continuing same until noon. Before going home he called on his aged mother who lies at the point of death. This was his daily custom. Being somewhat indisposed he remained at home that afternoon, but was able to partake of a hearty supper. At about 8 o’clock, however, his condition became such as to necessitate a physician who promptly responded, but whose help was of no avail, The end came at 10 o’clock. In the death of Mr. Schell New Ulm loses one of its most prominent and public spirited citizens. Having been born and reared in this city its welfare was always uppermost in his mind. His ardent love for the beauties of nature prompted him to convert the surroundings of his home and establishment into a veritable beauty spot. This trait also made him valuable to the community at large in the capacity as park commissioner, which office he held for several years. His loss is furthermore keenly felt by various enterprises in which he was interested in a financial and social way, such as the New Ulm Stone Co.; the Brown County Agricultural Society; the Citizens State Bank; the New Ulm-Maennerchor; the 2nd Regiment Band; the Sons of Hermann Lodge; the Freemasons; the Arbelterverein, etc. The State Horticultural Society elected him a Life-member. He also belonged to the State Brewmasters Association. Although he never held a political office he was ever ready to be of servce to the community by lending his assistance with his practical knowledge, ability and experience. The relation of the deceased as employer of his employees was such as to give evidence to his manly character and kindness of heart. This sincere sorrow manifested by them at the announcement of his death gave ample proof of the high esteem in which he was held by everyone in his employ. The highest tribute, however that can be paid to any man is his ideal attitude toward the immediate members of his family. And in this respect too much can not be said in honor of the deceased. Although the loss of Mr. Schell is a heavy blow to the community it will be most keenly felt by his wife, children and all relatives. A loyal and true husband, a loving, kind and affectionate father, a dear brother, a devoted son, a good neighbor will be missed in the Schell home. 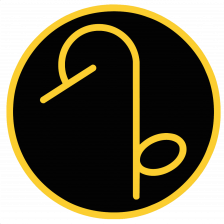 He had the rare faculty of strictly attending to his own business and never allowing himself to be unduly influenced by any faction sentiment. Herein lies the secret of the fact that he was probably as popular a man in all factions as as ever lived in the confines of this city. Otto Schell was born July 15,1862 in New Ulm. He received his education in the public schools of this city. At the age of 16 years he went to St. Paul, attending a business college in that city. Completing this course he became a student at the Mankato Normal School. Having finished his business education he worked in his father’s office for about one year. When 19 years old he made a journey to Germany, visiting his father’s native town where he remained a little over a year. On his return he resumed the office work at his father’s brewery. On the 6th of October, 1885 he was married to Miss Adelia Schwertfeger of New Ulm. After the death of his father, August Schell, the deceased managed the extensive business for his mother. When in the year 1903 the brewery was converted into a stock company he became the president and business manager of the new concern, which position he held up to the time of his death. In 1901 he made another trip to Germany being accompanied by his wife and two children. Mr. Schell is survived by his wife and two children, Walter. 16 years and Mrs. Cleveland Frederich of Springfield; his aged mother, Mrs. August Schell; three sisters, Mrs. Geo. Schneider, Mrs. Geo. Marti of this city and Mrs. Yoerg, of Winthrop and one brother, Adolph of Portland, Oregon. August Schell navigated the challenges of developing a rural business by strengthening family ties in the brewery’s operation. Like many small business founded by immigrants, family dynamics played a large role in the company as the children grew older. 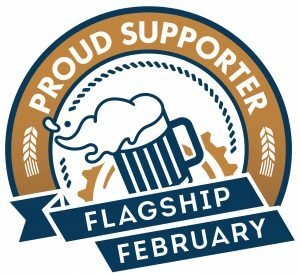 They would play a more crucial role in brewery operations as August Schell became increasingly unable to walk due to steadily worsening rheumatoid arthritis. He turned over day-to-day operations to his family in the late 1870s. The first family member to emerge within the company was Schell’s oldest son, Adolph. Adolph traveled to Chicago to learn brewing techniques and train at another brewery before coming back to New Ulm. By 1879, Adolph was directly involved in managing the company. Though August Schell initially appointed his younger son, Otto, as master brewer for the firm, by the mid-1880s he had decided that Otto was better suited than Adolph to take the reins of the company. After attending public school in New Ulm, Otto attended business college in St. Paul and completed a business education degree at nearby Mankato Normal College. When he was nineteen years old, Otto lived for a year in his father’s German hometown while studying brewing. 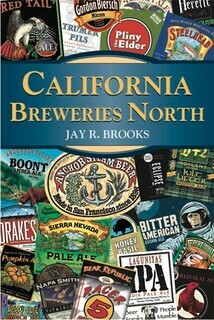 After returning to the U.S., he began working in the brewery’s business office. The exact reasons behind August Schell’s decision to groom his younger son as his successor are no longer known, but soon after Adolph’s brief period as brewmaster and Otto’s return to New Ulm, Adolph was shifted out of key leadership roles in the company and given a variety of other jobs. Adolph then established his own business distributing Schell beer in areas a few hours west of New Ulm, and later moved to California in 1889 to start a fruit and chicken ranch. Though newspaper reports highlighted Adolph’s desire for a better climate as the deciding factor in his move, family reports emphasized the growing enmity between the brothers. 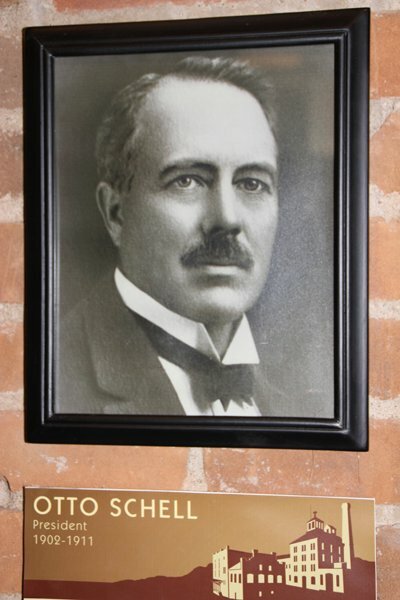 By the early 1880s, Otto Schell had taken control of the brewery’s operations. When August Schell died after becoming increasingly weakened by arthritis at the age of 63 in 1891, he had ensured that his company would continue to prosper while still remaining in family hands. Such family politics along with the frontier challenges and his growing competition spurred August Schell and his son, Otto, to expand and innovate. 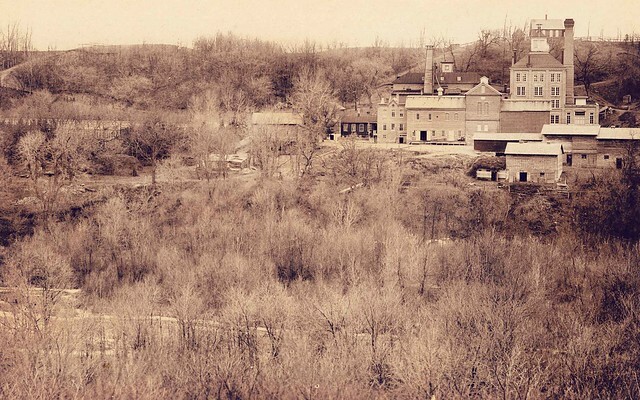 By 1879, August Schell’s continuous expansion had created a massive brick brewery with several outbuildings on the bluffs of the Cottonwood River. The main brewery was 150 feet long and from 30 to 80 feet in depth. Two main copper brew kettles dominated the brewery – one with a 25-barrel capacity and the other with a 12-barrel capacity. Underneath the main floor of the brewery were seven separate stone cellars for lagering beer and malting barley. There were four ice houses capable of storing 700 tons of ice. The ice was harvested from the Cottonwood River which ran 100 feet below the brewery at the bottom of the cliff. Each block of ice would be attached to tongs and hauled by a team of horses to the cellars via a rope and pulley system. 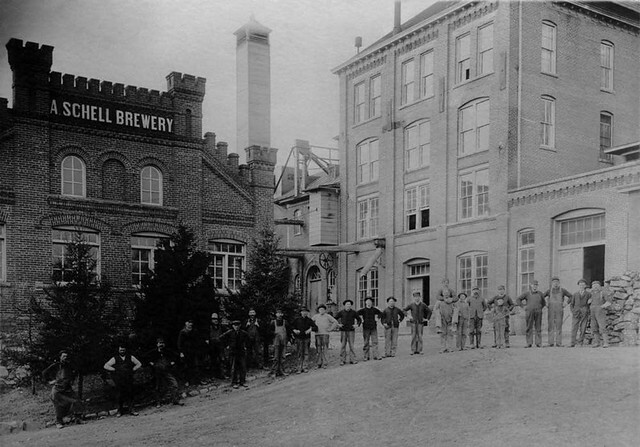 Schell Brewing Company’s physical plant grew even more once Otto Schell took over daily operation of the company and initiated a major renovation of the brewery. In 1887, the company installed bottling equipment in order to reach broader regional markets and appeal to retailers and consumers who did not wish to purchase an entire barrel of beer at one time. The brewery kept expanding the market for its beer as railroads made transporting beer into new regions easier. For example, in 1890, the company built an ice house in St. James, Minnesota, (about 30 miles south of New Ulm) as a distribution point. In the fall of 1890, Schell erected a new two-story brick building to house beer and ice, as well as a barley storage house to take the place of an older framed building, at a cost of $7,000 for both ($179,000 in 2011 dollars). By 1891, Schell’s produced nearly 9,000 barrels of beer a year. Otto Schell proposed to more than double the brewery’s capacity so that it could produce over 20,000 barrels a year. The expansion would take the company to a production level that only a few other breweries in the state could match, even in the Twin Cities. With plenty of cash netted from doing a brisk business over the previous several years, Schell plowed the money back into the physical plant. He hired a Chicago architect to design the changes. Throughout much of the fall and winter of 1892-1893, the brewery shut down in order to complete the rebuilding effort. For approximately six weeks, new roads were built around the facility. Shell spent almost $20,000 ($510,000 in 2011 dollars) on constructing this modernized and expanded brewery. Most of the new expansion was completed just as the Panic of 1893 derailed the United States’ economic engine. Without having to rely upon loans or banks to stay solvent, however, the Schell Brewing Company weathered the Panic of 1893 remarkably well. Otto Schell both expanded the brewery’s physical plant and invested heavily in new, expensive machinery to stay at the head of the crowded brewing industry in New Ulm. In 1895, the company again expanded by building a four-story malting house adjacent to the brewery with the intent of manufacturing malt on a commission basis. In the mid-1890s, the brewery upgraded its machinery including a new copper kettle able to produce 125 barrels of beer at a time, steel mash tubs and tanks, and other up-to-date equipment. In 1897, Otto Schell traveled to St. Louis, a city with a sizeable German-American community, to buy ice machines for better refrigeration of beer and improved ventilation. Otto Schell invented and patented a new machine and a new method for separating hops from beer in 1902. 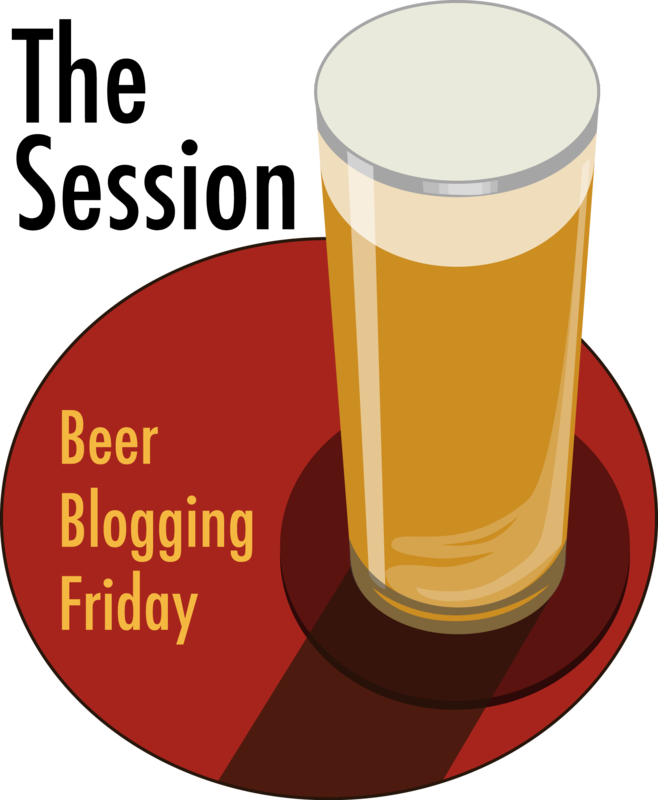 This innovation cut the costs associated with filtering the beer in half, which further increased revenue in the long term. The Schell brewery seen from a distance. 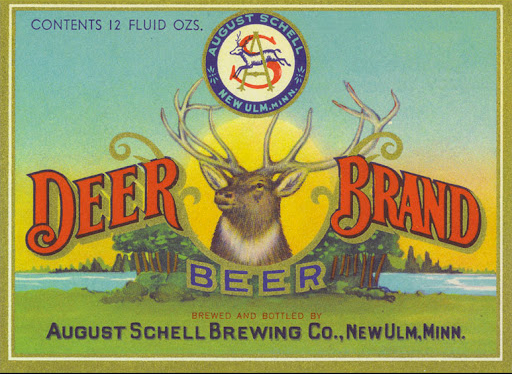 Though August Schell Brewing Company remained a relatively small regional brewery (one among many prior to Prohibition) compared to giants such as Anheuser-Busch and Schlitz, the close ethnic ties cultivated by German immigrants and organizations in New Ulm helped the firm to maintain a distinct identity and regional appeal. Continued family connections also played a role in sustaining the August Schell Brewing Company during Prohibition when it produced root beer (1919 Root Beer) and candy to stay afloat. 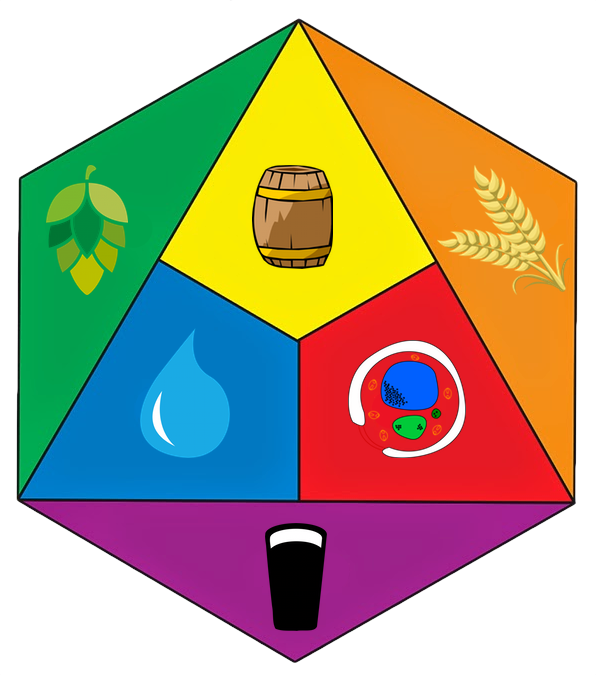 Considering how few breweries remained viable outside of the large corporate breweries in post-Prohibition and post-World War II America, the fact that New Ulm boasted two breweries into the 1960s is noteworthy but also reflects the regional support for local brewing operations. After over 100 years in business, Hauenstein Brewing Company, Schell’s closest and most direct competition in its marketplace, closed its doors permanently in 1969. Such persistence proved stronger in rural ethnic communities like New Ulm where linguistic ties held people closer to others like them compared to similar sized ethnic communities in larger cities. Although the Turnverein organization aided August Schell’s initial rise in Cincinnati and later New Ulm society, Schell’s growing wealth and regional prominence soon made him a respected public figure beyond his status as a Turner. By the late 1870s, August Schell could indulge in developing his interests outside of business. He spent considerable wealth to design and create a new family mansion and elaborate gardens in the 1870s. Acting the part of a respected member of society, August Schell became a patron of the arts by hiring a young, and eventually notable, artist, Anton Gag, to help in the creation of his mansion. Like his father, Schell delighted in the outdoors and everything associated with it. He continually added to his deer park, the symbol of his brewery, which eventually grew to include sixteen deer by the time of his death in 1891. Every time an animal was added to his menagerie, the newspapers reported it. For example, while there were plenty of native deer in the area, Schell imported a tame fawn from Wisconsin to inhabit his backyard. Numerous wild animals from the Upper Midwest increasingly called the Schell deer park home, including wild geese, cranes, and pheasants. Schell’s tastes in animals ran to the exotic as he got older. In 1890, the newspaper reported that Schell’s pet monkey had escaped from its cage and was only captured five days later. As August Schell rose in public prominence, he gradually separated himself from the local Turnverein. Schell remained a member of the Turners until his mid-fifties in 1884. Neither of his sons became members of the New Ulm Turnverein (though his son-in-law, George Marti, who eventually took over the family business in the early twentieth century became a member in 1879). Even prior to 1884, though Schell may have remained a member of the Turners, he became less prominently involved in the organization. Due to rising tensions between Turners and non-Turners in the region, Schell’s actions are not surprising. Small-town, frontier societies, in particular, breed familiarity and close ties but also sharp resentments among a population where everyone was a known quantity. The stark differences in worldviews of the Catholic German-Bohemians (who formed the bulk of the working class in New Ulm) and the liberal Turners like Schell who disdained organized religion bred underlying tensions within the community. Schell and his fellow Turners dominated the public life of New Ulm for decades. Even into the 1890s, the Turners still controlled the six-member school board that set the curriculum, hired teachers, managed the land owned by the school district, and planned construction of new schools. The total removal of religion from the schools, enforced by Turner school board members, angered many citizens of New Ulm. 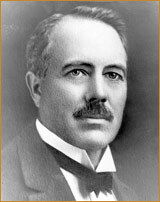 The Turners’ outright opposition to religion was anathema to religious parents at time when elsewhere in the United States the separation of church and state was much more loosely interpreted by school boards. This strong conviction flowed naturally out of their freethinking, liberal philosophy. Education, they believed, was the best means to combat the mysticism and superstitions bred by organized religion. Controlling the public school board, the Turners stamped their liberal philosophy upon the schools’ curriculum. For example, they used German-language textbooks published by the Turners. The public schools closed for Turner holidays as well. Furthermore, the school board held their meetings at Turner Hall. Though the Turners themselves continued using German as their primary language for years to come, they insisted that English receive primary consideration in the public schools. Their children would be raised as Americans who would be comfortable in an English-speaking world. This sentiment was not embraced by all within the borders of New Ulm. The 1892 annual New Ulm school meeting during which new school board member would be elected became a referendum on Turner influence in New Ulm in all areas of public life. One of the candidates that won a seat on the board in this election was a prominent businessman, Charles Silverson, owner of the Eagle Roller Mill in New Ulm and an immigrant from Baden as well. Silverson and his allies now openly charged the Turners with manipulating the public school system and the city’s politics. Whether intentional or not, Schell and his family were conspicuously absent among the business leaders who participated the fight over control of the public school system of New Ulm. For immigrant entrepreneurs like Schell, getting caught up in such social and political divisiveness could have had clear financial repercussions among a knowledgeable customer base with alternate choices. 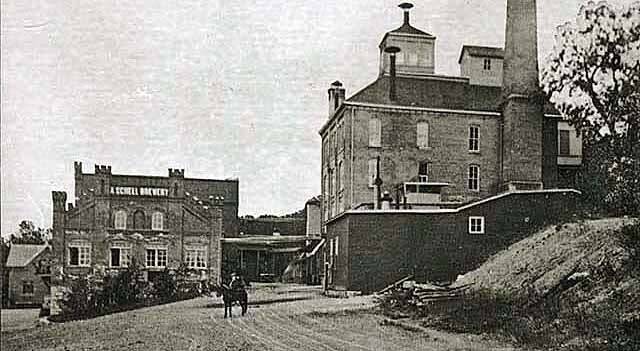 Although Schell held a strong market presence in south-central Minnesota, he still faced competition not just from other breweries in New Ulm but from even more distant breweries, especially with the advent of the railroad. Seeking to maintain the widest customer base, Schell likely knew he would lose market share if he, his family, or his company were perceived as part of the simmering social crisis in the region. The Schell Brewing Company, like nearly all small-town businesses, had to negotiate intensely personal tensions within the local community in order to thrive. Market share and financial success were often impacted not simply by their product alone but by public perceptions of the company and its leaders. 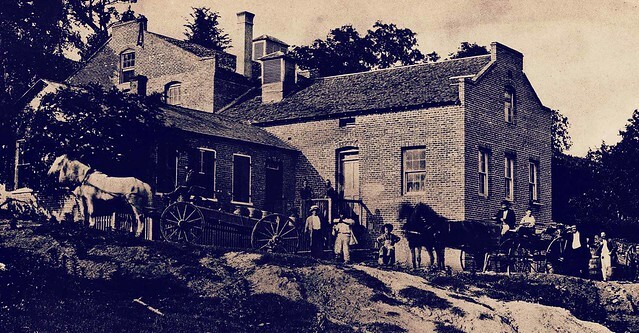 Although factions within New Ulm hardened their animosity towards each other, the Schell Brewing Company remained above the fray. These examples of opposition to the Turners provide a valuable window into the community during the crucial period in Schell’s company history when control was passing from August Schell to his son, Otto. Well before the conflict of the 1890s, the Schells’ had become regarded as major public figures in New Ulm and the surrounding region not because of their status as Turners but because of their beer. Without alienating their old Turner allies and connections, the Schell family withdrew from membership in the Turners just as the non-Turner population increased dramatically, which proved to be a wise business move for the firm (perhaps as forward-looking as any other decision in the company’s history). The conflict could have led to the family being branded as elitist Turners. Instead, the Schell family retained their long-developed status as widely respected businessmen.